I made this last night , man was it good. I made little crisp pancakes from the left over stuffing. I was lucky, Lyn prepared everything I just did the stuffing and cooking. 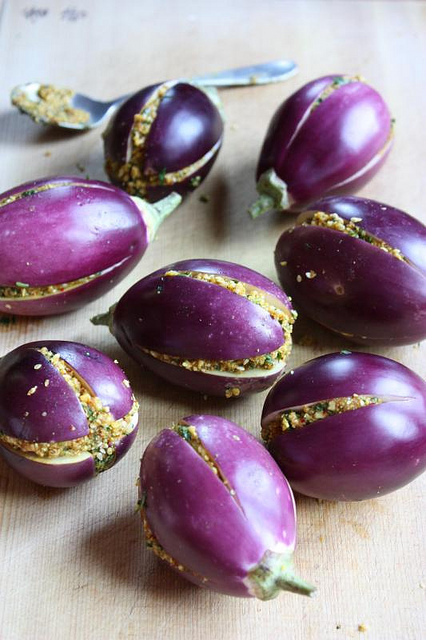 There are many kinds of eggplants in Asia and the egg-shaped Indian variety is particularly wonderful. It peaks during hot months and as the season winds down, I make this terrific Indian recipe, which I learned from Ruta Kahate’s 5 Spices, 50 Dishes. 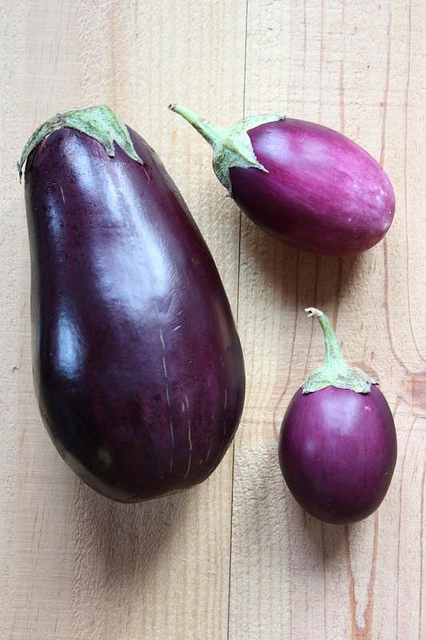 You’ll find the Indian eggplants at South Asian markets as well as at some farmer’s markets where they’ll be sold by Asian farmers. In California where I live, Hmong farmers are my summer time go-to source for eggplants. They have a medium-thick skin and creamy flesh, and are much smaller than the regular globe variety. 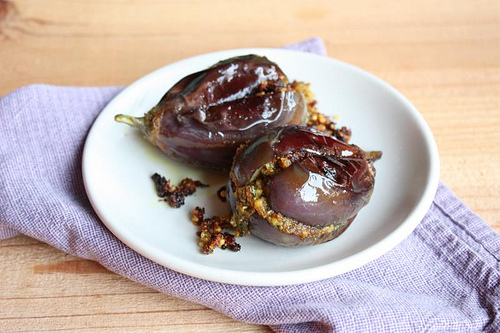 You can certainly grill them, but better yet, stuff them with a rich mixture of ground peanuts and sesame seeds and let them get kind of crusty. Serve warm or cold. Marcelo gave me a small canning jar of this and I marinated a slab of baby back for 24-48 hours those were the best ribs I have ever made.